Cristiano Ronaldo says Manchester United ‘did nothing to win the game’ after two late goals handed the English side a dramatic 2-1 Champions League victory on Wednesday. The Portuguese superstar opened the scoring against his old side with a stunning volley after 65 minutes, but substitute Juan Mata equalised with a fine free-kick in the 86th, and an Alex Sandro own goal three minutes later gave United an unlikely win. 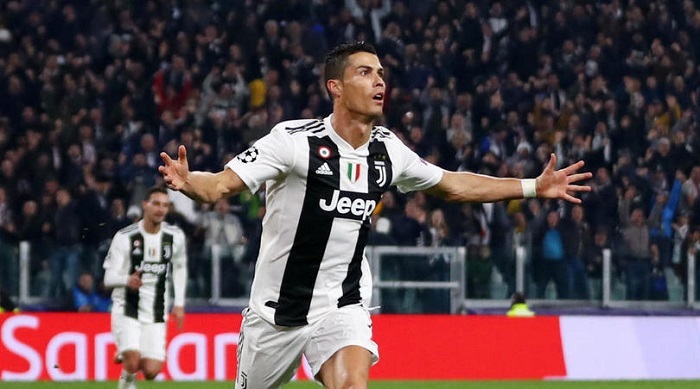 Ronaldo was not impressed with United’s approach, however, and believes Juve should have put the game well beyond their reach before those late goals. ‘We dominated the game for 90 minutes, had so many chances, could’ve killed it off three or four times, but we relaxed and were punished,’ he told Sky Sport Italia. ‘Manchester United did nothing to win the game. You can’t even talk about luck, because you have to find your own luck and in this case we just gifted it to them. ‘Now we’ve got to lift our heads, as we played really well and are still top of the group,’ he concluded. Juventus are top of Group H on nine points, two ahead of second-placed United.